Altura Mining is taking on a AU$28-million financing package to help reach nameplate production capacity at its Altura lithium project. Altura Mining (ASX:AJM) is taking on a AU$28-million financing package to help smooth its progress towards hitting nameplate production capacity at its Altura lithium project. The financing package is set to consist of a placement to investors in order to raise AU$23 million, along with a securities purchase plan (SPP) for current eligible shareholders to raise AU$5 million. 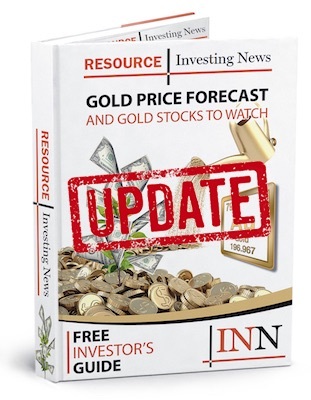 The placement will be for over 184 million shares at AU$0.13 apiece, representing an 18.08-percent discount to the 30-day volume-weighted average price for Altura shares. The SPP will be run similarly, with existing shareholders having the option to acquire new Altura shares at the same price as the placement. According to a statement from Altura, the money raised from the package will be used as a “significant working capital buffer” while the company advances toward nameplate capacity of 220,000 tonnes of spodumene concentrate per year (tpa). “This capital raising provides working capital strength for this final push in the ramp-up phase. The most recent modifications we’ve made to the plant have had a significant impact on performance and we are now consistently achieving approximately 70 percent of nameplate production capacity,” Altura Managing Director James Brown said in the statement. The Altura project saw major milestones last year, including the opening of the mine in September and locking in offtakes for 100 percent of its output in November. A definitive feasibility study for the project was also completed last year, laying out a potential stage-two expansion that would push Altura’s capacity to 440,000 tpa. Altura’s share price took a 6.9-percent tumble on Thursday (February 7), ending the day of trading on the ASX at AU$0.135.